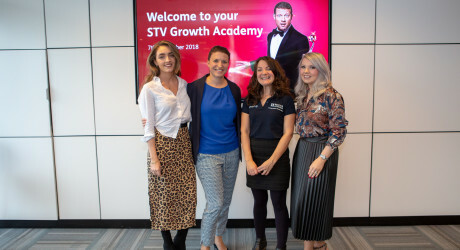 TODAY, Wednesday 7th November, STV hosted the STV Growth Academy, the first in a series of events designed to provide small and medium-sized enterprises with resources and insight which will support them as they take the next step on their business journey. As one of the country’s leading digital media companies, STV is committed to driving and growing a strong and prosperous Scotland. The STV Growth Academy event got underway at STV’s headquarters this morning featuring a programme themed around growing business with effective solutions. 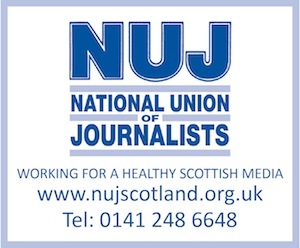 STV attracts mass audiences – reaching 87 per cent of Scots on air, online and on demand. Harnessing STV’s wealth of experience in media planning, creative brand development, consumer insight and driving a return on investment, small businesses were invited to attend to hear from a range of speakers who shared their knowledge on topics designed to assist businesses to grow and develop. The STV Growth Academy is free to attend, though places are limited. The next event will take place in Edinburgh on Wednesday 20th February featuring Zoi Kantounatou, co-founder of FutureX. Further STV Growth Fund events will take place each quarter in 2019 across Edinburgh, Dundee, Aberdeen and Glasgow. For more information about the Growth Fund, please visit the website http://www.stvgrowthfund.tv or sign up via Eventbritehttps://www.eventbrite.co.uk/e/stv-growth-academy-presentation-masterclass-tickets-52267810428.